Learn about the collections at both the Getty Museum and the Getty Villa through one-day workshops or longer in-depth trainings. All Teacher Professional Developments programs are FREE, including validated parking. Keep checking their website for updates or sign up for their e-news to receive emails about upcoming events. 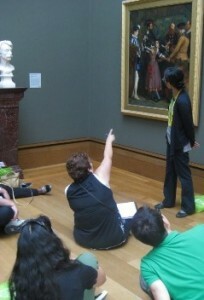 In these workshops, K–12 teachers are immersed in one aspect of the Getty Museum’s permanent collection and special exhibitions, while learning specific ways to incorporate works of art into their classroom teaching. 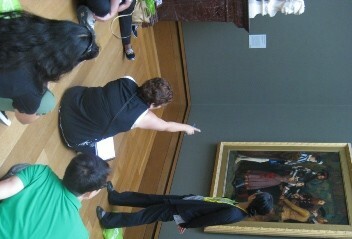 Workshops include hands-on art-making activities and lectures, tours, or small-group discussions with Getty Museum staff. 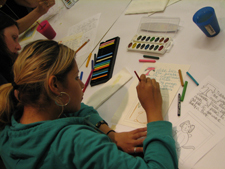 In this five-day summer seminar, K–5 teachers will explore how to use art to invigorate their teaching practice and address Common Core literacy standards. Through activities in the galleries, small-group discussions, and hands-on activities, you’ll discover new tools to strengthen literacy across the visual art, language arts, science, and history/social studies curricula. This free one-year program introduces K–5 teachers to meaningful and engaging strategies for developing students’ skills in language and visual arts. Through workshops, seminars, and hands-on activities led by Museum educators and curators, you’ll discover new tools to help your students think creatively, write successfully, and create inspiring works of art.